If you’re thinking about ideas for family vacations in 2019, you’re no doubt struggling to choose because there are so many great destinations that suit trips together as a family. However, when looking for a country that offered plenty of variety, and things for all ages, it’s hard to beat Canada. In this North American nation, you will find plenty of top wildlife experiences to take in as well as stunning natural beauty everywhere. Plus, there are lots of bustling cities to explore, many historic sites and cultural experiences to enjoy, great food and more. The country also regularly tops lists regarding livability and is known for having friendly people. To help you plan a vacation to this part of the world, read on for some top family activities to put on your itinerary. There are all sorts of natural wonders to see in Canada, including snowy alps, crystal-clear lakes, pretty parks, the Northern Lights and more. However no trip to Canada is complete without a visit to Niagara Falls to see the thundering waterfalls that make this part of the country and continent so famous. To see and hear the waterfalls, you have a few choices. For starters, when searching hotels near Niagara Falls, look for an option that will give you views of the phenomenon directly from your room. 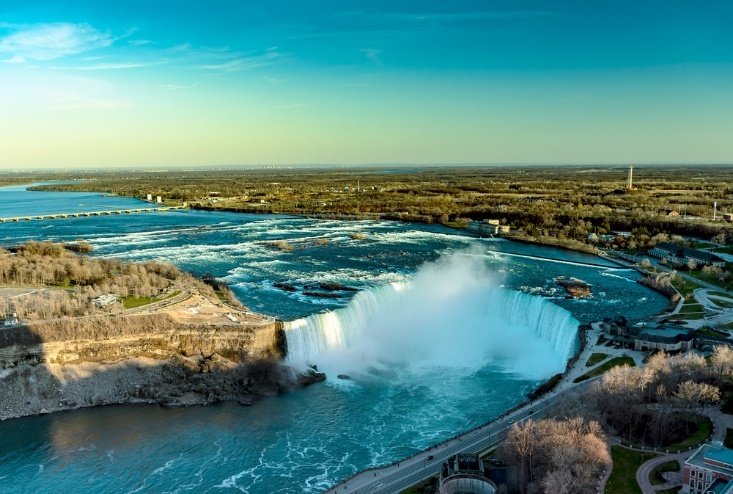 Then, it pays to take a boat right that will get you and your children right up close to the Falls — in Canada, this tour is run by Hornblower Niagara Cruises. Another great way to get the full impact of Niagara Falls is to book tickets for the Journey Behind the Falls experience. During this activity, you’ll see the waterfalls from behind and below, from within special tunnels built into rock. There are interpretative boards and other information as you explore, which provide an excellent opportunity to learn about the history of the waterfalls. To see Niagara Falls from above, hop on the Niagara SkyWheel. As it turns you’ll get great views of the waterfalls and surrounding areas. Time this ride for after dusk to see the nightly light show that illuminates the Falls in multiple colors. Another iconic Canadian experience is a trip on the Rocky Mountaineer. This five-star train journey is suitable for families, and kids of all ages will be captivated by watching the scenery pass as they view it from huge windows on either side of their carriage, as well as through glass windows on the roof. 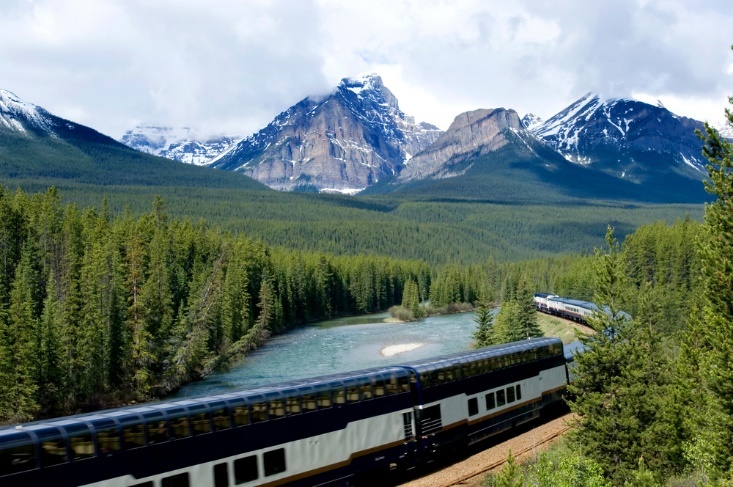 The train goes through some of the most popular destinations in the provinces of British Columbia and Alberta, including Whistler, Banff, Lake Louise and Jasper. As you travel, experts on board provide commentary about the sites passed and the animals in the area. You and your kids will have the chance to spot creatures like grizzly bears, moose and eagles as well as see waterfalls, pine forests, snow-covered mountains, epic gorges and picturesque towns. While in Canada, your family should try to get more of an up-close look at some of the country’s many bears. The nation is home to many species of bear, including black, brown and grizzly bears and even the rare spirit bear. There are numerous places where you can get the chance to see these animals in their natural environment but from a safe distance. If your children are fans of L.M. Montgomery’s famous “Anne of Green Gables” series, or if you could not get enough of the books as a kid, make sure you head to Prince Edward Island, on the eastern side of Canada. PEI, as it’s commonly called, is the setting for the children’s series, so the picture-perfect island boasts many tributes to the author and the books which fans should check out. While on PEI, look out for some of the many different vintage lighthouses dotted about the coast, and attend one or more of the island’s excellent art and music festivals held throughout the year. In addition, you’ll find lots of fresh seafood to taste at restaurants across Prince Edward Island, as it is famous for its local catches.